The debate on when human language developed is one that may never be resolved – there’s no recorded evidence of its beginnings, and so therefore we can only make estimated guesses on the topic. Having said that, some of our ancient languages are very old indeed – and that’s only the ones that can be confirmed due to the existence of written texts! With proto-hieroglyphics being dated back to 2000 BCE, Egyptian is the grandfather of written language. The most advanced civilization of their time, they developed many technological advances during the Bronze Age, including quarrying, construction techniques that led to the pyramids and a mathematics system, to name but a few. After centuries of use, the language eventually died out due to the rise of Islam (and subsequently the Arabic language) in the area and the persecution of other religions. Often called “the language of the Gods”, Sanskrit the liturgical language of Hinduism, and the philosophical language for all the religions in the India/Nepal area. Amazingly, 15,000 people use it as their first language today! 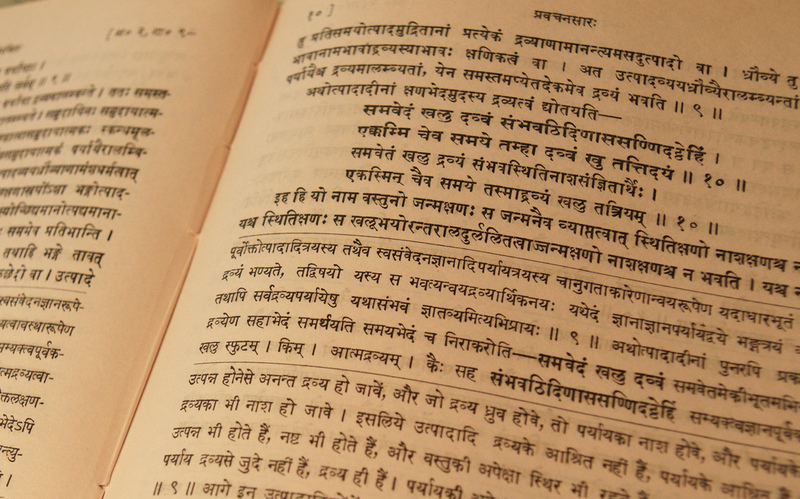 Sanskrit is the oldest Indo-European language that has a substantial amount of written text, and therefore is the subject of serious academic study. Though the language fell out of favour a long time ago, it is still often used at religious events. Ancient Greece was immensely influential on western language, arts, culture, philosophy and science, and is considered to be the base culture that the Romans built themselves on. Interestingly, as the empire was split into different city-states, only Alexander the Great of Macedonia was able to unite the empire. Through the centuries, Ancient Greek morphed into modern day Greek, and if you were to have a speaker from each language, they wouldn’t be able to understand each other. The only known proof of written Chinese are 3000-year-old markings in turtle shells, its thought that the language could be much older than that, perhaps even older than Egyptian. The written language has distinct symbols and characters to represent each word in the vocabulary, and therefore if you wanted to read a newspaper, you’d have to have a knowledge of around 3,000 different symbols. Similarly to Ancient Greek, a modern day reader would have a very difficult time understanding ancient Chinese. There's a reason why the translation service industry is booming and according to the US Department of Labor, the translation profession will grow by 30% by 2024. In today’s commercial world, when foreign markets are so easy to access, its hugely important to be able to communicate with your audience in an authentic and coherent way; but this is not the only reason why professional translation is becoming so vital in the modern age. Brexit, globalisation, nationalism… you may be tiring of today’s buzzwords, but they could seriously affect your business and further illustrate the importance of good translation. As the world gets smaller but our dividing lines seem to grow larger, your company and your product needs to feel familiar and approachable to a wide and varied audience; indeed, a 2015 study predicted that by 2025 880,000 small UK business will be expanding overseas meaning the lines of communication must be accurate, localised and carefully thought about. If you truly want to take a larger slice of a foreign pie, almost everything you do must be translated accurately to your target audience, whether its correspondance emails with clients or partners or localising your website, or understanding precisely what your audience is saying back to you - almost all aspects of your business might need a professional translation service, to make sure that nothing is 'lost in translation' at all. While platforms like google translate are great for short sentences or one-word translations, the end results are often very literal; ultimately, quality issues are the main problem with machine translation services. A machine is incapable of understanding the context of a sentence, particularly in complex situations and on top of that, translation is a deceptively creative task, in which a translator has to have a deep understanding of two different langauges, the associated cultures and cultural norms, and be able to communicate a message between the two. Whilst it may be a tighter competition in the future, humans are still streets ahead when it comes to quality translation. People celebrate the New Year in many different ways, and at slightly different times due to the time differences around the world; some even celebrate it on a completely different day by using a different calendar altogether. Let’s have a look at some of the wonderful ways we humans celebrate the beginning of a new year. Fireworks are the most common way the western world marks the new year; from New York to London and Sydney to Paris, these colourful lights in the sky reflect the jubilant mood of the huge audiences found in these cities. There are subtle differences though – New York features its iconic dropping orb, whereas London enjoys headline music acts perform by the Thames River. ‘Rosh Hashanah’ in Hebrew literally means ‘head/first of the year’, and marks the beginning of the Jewish Days of Awe, perhaps the most important ten days in the Jewish calendar. Most synagogues are filled to the brim during these days as this is a time for repentance, and many important religious traditions are performed throughout this period. Rosh Hashanah usually occurs in the early autumn of the Northern Hemisphere. The ‘Spring Celebrations’ are centuries old and have many customs due to the legend and myths that have accumulated around it over the years. Traditions vary from region to region, but some customs stay the same; the ‘reunion dinner’ is a staple throughout the country, where families meet up and enjoy a meal together. Cleaning the house, which symbolises getting rid of bad luck and making room for good fortune is common, as is giving money in red envelopes to friends and family members. 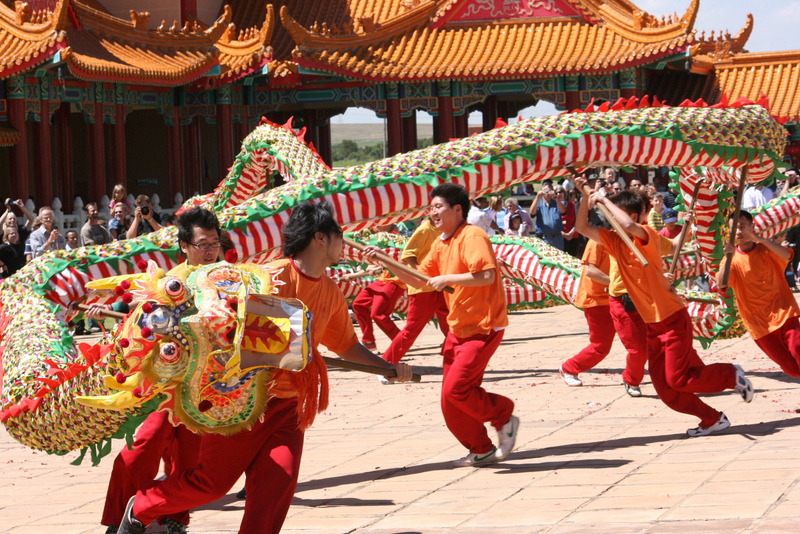 The first day of the Chinese New Year can fall between the 21th of January to the 20st of February. Chanukah (or Hanukkah) begins on the 12th of December this year, and though it’s a somewhat minor Jewish holiday, its importance has been magnified by that other December based holiday, Christmas. Nonetheless, Chanukah is now certainly one of the more famous Jewish holidays and is a welcome alternative to dive into compared to our well-known Christianity-based holiday. The ‘Festival of lights’ lasts up to eight days and falls on the 25th of Kislev, of the Hebrew calendar. The word is pronounced with that stereotypical, slightly guttural ‘kh’ sound, ‘kha-nu-ka’. According to Hebrew scripture, at a time when the Holy Land was ruled by the Seleucids (Syrian-Greeks) whom were keen on forcing their views and beliefs upon all under their domain, A small band of faithful Jews’ led by Judah the Maccabee, defeated the mighty Seleucid army and reclaimed the Holy Temple in Jerusalem and rededicated to the service of their God. When these Jews went to light the Temple’s seven branched candelabrum, the Menorah, they found a single container of oil that would only last the day, however the container lasted 8 days and was considered a miracle. The most important aspect of the festival is the Menorah lighting. Each day an additional candle is lit, with blessings recited beforehand and traditional songs performed afterwards. Since oil is such an important part of this festival, many foods are fried in the substance such as latke, a potato pancake and sufganya, a type of doughnut. All of these aspects underline the beliefs behind Chanukah, standing up for what you believe is right as those faithful Jews did, that they believed that God can light the way (represented by the flames of the Menorah), and that you should be proud of what you believe in. A few weeks ago, we did a blog on the history of the English language and this got us thinking… how did written language come about? You may know about Egyptian hieroglyphics or your Greek alphabet, but the history of written language goes much deeper than that. It’s worth noting that recording numbers came long before recording any different sort of information. This began in 4000 BC, at a time when there were between 7 and 14 million humans on Earth, and they had only just begun domesticating horses; the earliest known form of recorded numbers where marked clay tokens used for counting sheep. Around a 500 years later, the first forms of written language begin to appear, in the form of images and markings on stone tablets. It’s generally accepted that the Sumerians were the first civilization to use written language, but there have been other places that have independently conceived and developed their own forms of written language such as the Mesoamericans in 300 BC, and many believe the Chinese joined these writing pioneers around 1200 BC. But what did these written languages look like? And why where they made in the first place? The Sumerians were the first civilization to build cities, and it is thought that the need for long distance trade gave rise to basic pictures and symbols so that tradesmen could communicate, or remember items needed from different places (the world’s first shopping lists?) or in the case of the Chinese, markings were made in small bones that were then heated ‘diviners’ would then read these markings and see the future; these markings would eventually morph into Chinese script. Eventually these pictures and symbols would go on to be more specific, providing a precision tool for humans to communicate through the ages. Enheduanna, (2285-2250 BCE) is the first known example of an author and wrote ancient versions of poems, hymns, prayers and psalms. The Epic of Gilgamesh is the first known written recording of literature. These writings would eventually prompt an influx of written recordings to preserve culture, information and history, to be put in the Sumerian libraries. Finally, using the tools and literature before them, the Phoenicians created the first version of the alphabet – this would heavily influence the Greek alphabet, which would then make written language more accessible to other cultures, and become the bedrock of written language for all of Europe.